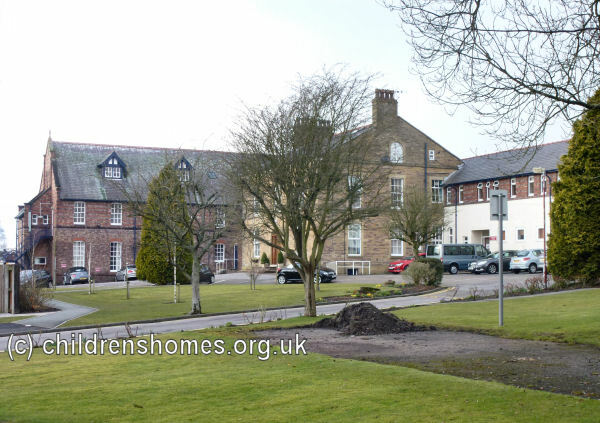 In 1903, a new Home for Roman Catholic Girls was opened at Greenfield House, Carr Mill Road, Billinge. On 10th August, 1903, the establishment, also known as Our Lady's Home, was formally accredited as a Certified School, allowing it to receive girls boarded out by the workhouse authorities, who paid 10s. a week for each girl they placed. The Home was run by nuns from the Sisters of Charity of St Paul the Apostle. In 1912, the Home accommodated up to 53 girls, aged from 7 upwards. The superintendent at that date was Sister M. Patrick. As well as classroom and religious education, the girls were taught needlework. By 1935, the Home could accommodate 130 girls. The superintendent was now Sister Philomena. In 1948, Our Lady's Home was described as a "Certified Home for girls and young boys". In September, 1962, Greenfield House was certified as an Approved School for Roman Catholic Boys. The establishment, run by Liverpool Training Schools, housed up to 50 Intermediate Boys, aged between their 13th and 15th birthdays at their date of admission. In 1973, the School became a Community Home with Education (CHE), run in conjunction with Lancashire County Council. The site is now occupied by Nugent House Special School. The National Archives, Kew, Richmond, Surrey, TW9 4DU. Has various reports on the Approved School establishment.